Yoite didn't know how well Ventus understood this statement. His own enemy was himself. "Was it because of the kira?" he asked. Well, everyone was getting along now. She poured another cup of hot cocoa and asked, "Would anybody like something to drink?" Xemnas smiled, "Um, can I have a cup?...I don't know what it is, but it's probably good." He thought about Yoite's comment for a while and thought out loud, "Hmmm, reminds me of my days as an apprentice." Yami Bakura chuckled at Yoite's statement a little, "Hn, sounds like something Ryou would say, except he'd be wrong, we're two different people." "Well, we have some eggnog in the fridge." Then, Aqua added, "Alcoholic for the adults, non for the kids." She tried not to laugh when Ven groaned. "That makes no sense," He said confused, "I'm just going to sip some hot chocolate, because I have no idea what you're talking about, thinking about it is swirling my brain round and round and round." He exaggerated. "Do you have.....hot lemonade?" He asked. That was about the only thing that he could taste anymore when it came to drinks. Yukimi would always make it for him, because that was one of the only things left he could taste, and he enjoyed the taste of it, "Sora is a different person. I am Yoite, I am not Sora. I am Yoite." He looked over at the confused teen and smiled. 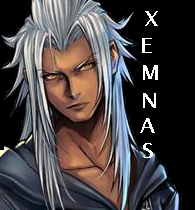 Xemnas filled a large mug full of alcoholic eggnog, he smirked, "Hmm, I wonder if I can get drunk as a nobody." He heard Yoite's claim of not being Sora and he laughed, "Funny the Sora I know claims he's not Roxas." Yami Bakura sighed, "Love, we're all dying a little inside whether figuratively or literally, enjoy the life you've got and stop being a Debbie Downer, it's Christmas, be grateful you're allowed to die to begin with." He sipped some hot cocoa. Now Ventus was really confused. Not Sora? Wha...? 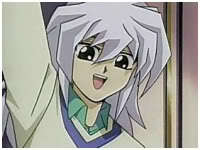 He then heard Bakura's comment and stared at him. "Eh?! You can't die? Really?" He'd heard of people not wanting to die and prolonging their lives in the most bizarre ways, but to not ever die? "That's crazy." "I can whip some up." She went into the kitchen, put some lemonade in a saucepan, and heated it up. She returned with the drink and handed it to Yoite. "I'm six thousand, two hundred and seventy five years old!" "Eh?!" Ven just couldn't wrap his brain around all the immortality in the room. "I think I'm just gonna drink the eggnog now." He took the glass Aqua handed him. "Thank you," Yoite said, taking a drink of it, granted, it wasn't as good as Yukimi's, but he was thankful to be able to taste it. You never realize how lucky you are to taste until you can't taste things anymore. He didn't really want to tell any of the people that he wasn't sure what exactly happiness was, so he kept his mouth shut, "...so..what's Christmas?" He asked, being legit. He didn't know what Christmas was, he only knew that it was a holiday. Xemnas sighed, shrugging a little at Yoite's comment, "I don't know well enough either, if Ansem was here, he could tell us. I used to know when I was Xehanort." He sipped his drink, 'saddened' it wasn't loosening him up. Yami Bakura turned to Kakeru, showing him the millenium item around his neck, "I can't die as long as my soul is tied to this bloody item! I'm as old as the pyramids and that damned pharaoh!!!" Ventus was amazed by Bakura's words. "So... you can't die so long as something isn't broken? Neat!" "Christmas," Aqua explained, "is a holiday in which the religious Christians celebrate the birth of their savior, Jesus Christ. The rest of us just use it as a holiday to be thankful and to be with our friends and loved ones." "How did you not know what Christmas was?" He asked very surprised, then turned to Yami Bakera, "Well....if you um...want to die, why don't you destroy it yourself?" He asked, trying not to be mean. "Not being able to die would be torcure. I want to disappear, but not die." 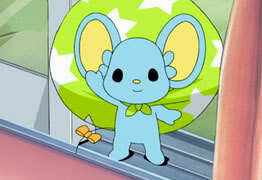 He said, "That's what Miharu promised me." Ven blinked, now thoroughly confused. Dying was hard on everyone around you, but living forever was torture? He didn't understand any of this. "Hey, it's Christmas. Let's not talk about sad stuff!" He grinned and took a big gulp of the non-alcoholic eggnog. "Right?" Aqua nodded. "This is a time for light hearts and happiness. So let's make the best of it!" She raised her glass of eggnog. Yes, she was a little tipsy. Aqua almost never drank, so it didn't take much. "Kanpai!" "The snow is beautiful tonight." "Snow?" Ven ran to Yoite's side and stared out the window. "It's so pretty," he said, admiring the fat snowflakes falling and coating the window sill in a light dusting. He grinned at Yoite. "You know what's a lot of fun when it's cold?" He breathed on the window so that the glass fogged, then drew a Christmas tree. "Try it! It's a lot of fun!" Xemnas groaned lightly, sipping his drink more and finally finding himself a little tipsy, "Hehe....the room is like a disco ball." Yami Bakura rolled his eyes lightly at all the 'happiness and togetherness.' 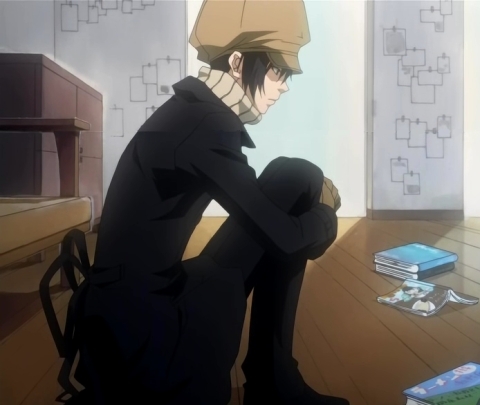 He sighed, "I'm going out for a bit." His hair became less wild and his voice returned to one of a little boy's, "Um....cheerio, it seems my Yami [dark side] left." Ryou blinked lightly. Somehow, the switch didn't surprise semi-drunk Aqua. "So you must be the good twin?" she asked. "Can I get you anything?" Ryou blushed, "Um, do you have any bangers and mash? I'm sort of starving, not really thirsty though." "On the table." When had she put bangers and mash out, anyway? She absolutely despised those. The clock began tolling midnight. Ven groaned. "Aw, but we were just starting to have fun!" Aqua checked the time as well. "I suppose it's getting late." She smiled at the guests. "Thanks for coming everyone, but we ought to wrap this party up before it gets too late and the weather gets bad." Xemnas stumbled towards the door, summoning a dark corridor and several other cloaked people appeared, their faces hidden and started to drag the Superior out. "Whooo!!!!" Ryou smiled as he ate and bowed politely back to Aqua, "Thank you for the invite." "You're quite welcome," Aqua replied, bowing back at Ryou. "Thank you for coming. I hope you had a good time."